St. Mary’s Church, Burlington, will host a service of Evensong in commemoration of the 100th anniversary of the Consecration of Bishop Paul Matthews. 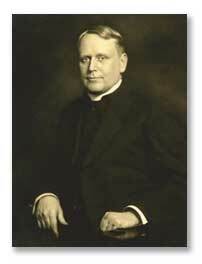 Bishop Matthews was consecrated at St. Mary’s on this date in 1915, and served as Bishop of New Jersey until 1937. The service will include the blessing of the “Bishop Matthews Oratory,” which incorporates the furnishings of Bishop Matthews’s private chapel at Merwick, his home in Princeton. A reception will follow the service.